A beautiful new house in a very prestigious area. The Nord department stretches from France's most Northern tip down along the Belgian border and ends at Picardy. Apart from the capital, the department is not heavily populated and offers a relaxing, rural setting. There is certainly a Flemish influence on the area, which is evident through the local's culture, identity and even the way they talk. Lille, the departmental capital, is one of France's largest cities at 1.1 million people. It is situated on major trading crossroads and is one of the most industrial significant areas in the country. Out of this emerged its reputation for militant left-wing politics and a progressive attitude. In 1981, its mayor, Pierre Mauroy, became the nation's first socialist Prime Minister. The city's other famous son was Charles de Gaul, who was born here in 1890. The northern coastline contains some extremely pleasant villages. 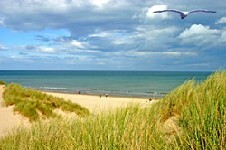 The beaches are clean, sandy and usually accompanied by dunes. The shopping scene in Lille used to be one of France's best kept secrets until the increase in accessibility both from the UK and Belgium, which has transformed it into an incredibly lively and stylish place to be. The local council's attempt to rejuvenate the centre has had a resounding success with old unused buildings being given a new lease of life. A mixture of French and Flemish architectural styles dating back centuries overlook the pedestrianised streets below. There is plenty to occupy you while you're here. The Musee des Beaux Arts is the most important art museum after the Louvre in Paris. Dunkirk, on the very northern tip, is the third busiest port in the country and the site of the famous rescue of British forces during World War II. 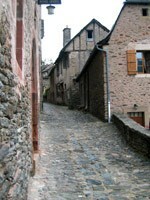 It was also the last French town to be liberated from the Nazis. Despite suffering heavy damage, Dunkirk was rebuilt and quickly returned to its maritime traditions. There is a fine arts museum, which contains an impressively large collection of 18th and 19th Century work. Valenciennes is a bustling and vibrant commercial town towards the south of the department. Its layout and architecture reflect a number of diverse styles. This is largely a result of chaotic rebuilding after the damage done by the Second World War. The ramparts that once encircled the town have been replaced by wide boulevards. While you're here, don't forget to try Langue Lucullus, a local speciality made of smoked ox tongue and foie gras. In the southwest, deep within the agricultural region of cereal and sugarbeat, you'll find Cambrai. Despite being a former military town and even giving its name to the world's first mass tank battle, Cambrai is an incredibly peaceful and relaxing place. The skyline is marked by three towers, a cathedral and a church that rise above the white limestone buildings. Making your way to the Nord department has become even easier in recent years. Most people arrive in Calais from either the Eurotunnel or the ferry. From there the Eurostar will take you to Lille while the high speed TGV train will take you to either Lille or Dunkirk. There are also numerous ferry services operating between the UK and Calais and Dunkirk. If you'd rather fly then Lydd Air will fly to Le Touquet. The market is currently stable, although prices are forecasted to rise in the near future as a result of increased investment and improved transport. A rise in interest from the French market is pushing up property prices in Lille. Do you know Nord better than we do? Do you have photos of Nord? Nord is located in the south east of the Nord-Pas-De-Calais region of France.